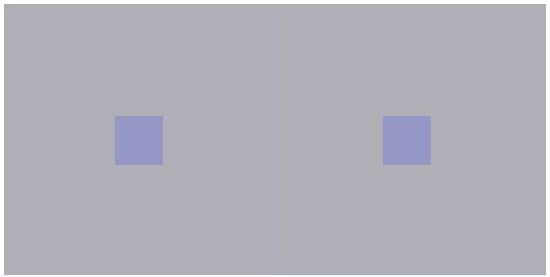 Within the larger gray and blue squares are two smaller squares. 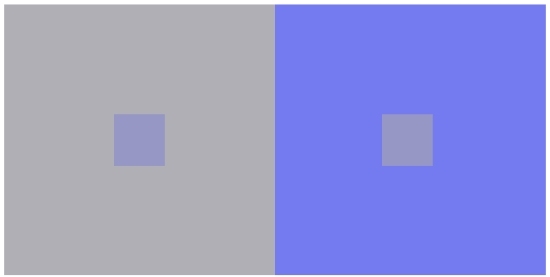 The small square on the left appears to be a blue or violet color while the small square on the right appears to be gray. 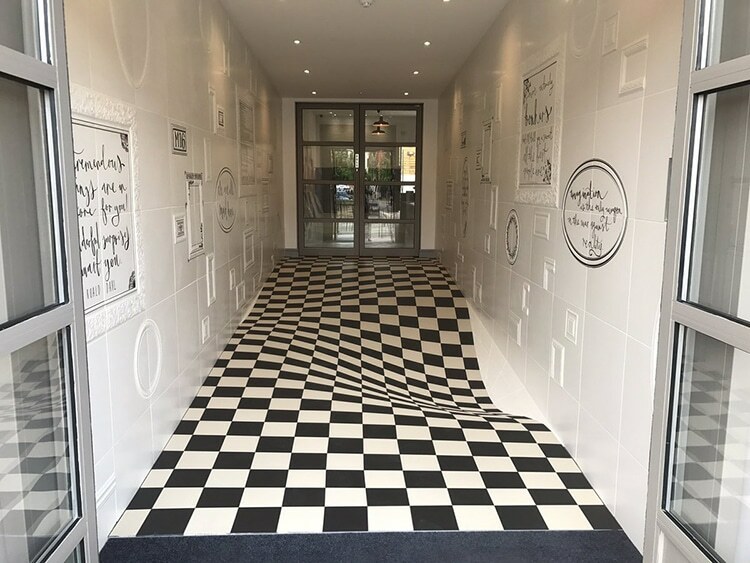 They are, in fact, the same color.  By making the background surrounding each smaller to square the same, it is obvious that they are the same color. The above images were created by Brad Honeycutt.